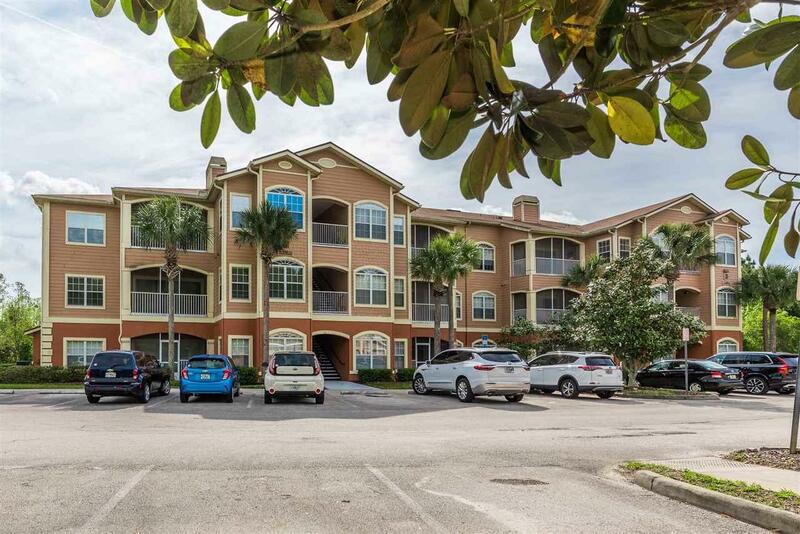 Looking for a fresh start convenient to everything St. Augustine? This homesteaded (lower property tax), 2BR/2BA third floor unit, with great views and privacy in Old Town Villages checks all the boxes! 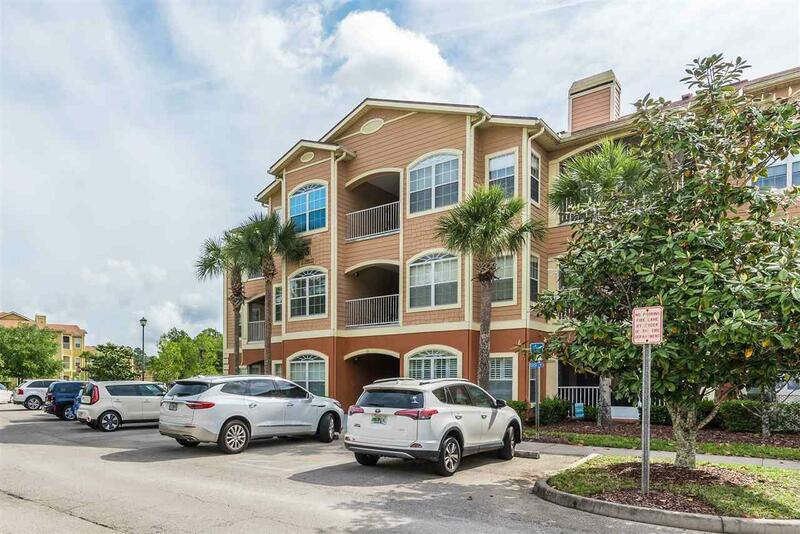 As you enter the condominium, the open concept kitchen and family room with fresh paint, new wood floors, wood burning fireplace and expansive screened porch will make you feel right at home. On cool evenings the tri-slider doors can be opened to bring the amazing sunsets just over westward treetops into the main living area. On warmer days, the brand new A/C will keep you cool & comfortable. Two large master style bedrooms and baths book end the family room. These bedrooms with large walk in closets provide both great space and privacy to residents and/or guests. The current owners have maintained and upgraded the space with a new A/C unit, refrigerator and upscale washer unit. The unit has crown molding and wains coating in the living area. This gated community offers residents a lovely clubhouse, exercise room, complete kitchen facilities for private parties, a cabana pool with new outdoor furniture and winding walking trails throughout the community. 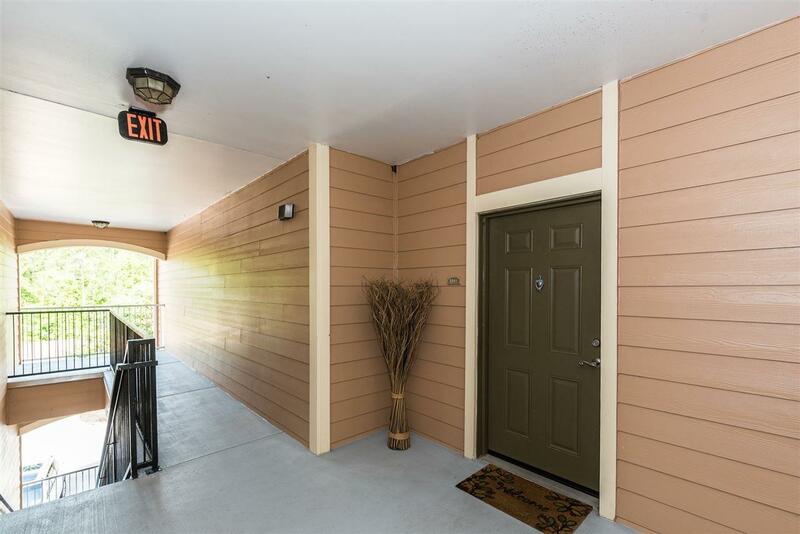 The community also offers residents an RV storage area, the HOA management is conveniently located on property in the clubhouse building, monthly dues include all outside maintenance, water+sewer, and Comcast cable TV. 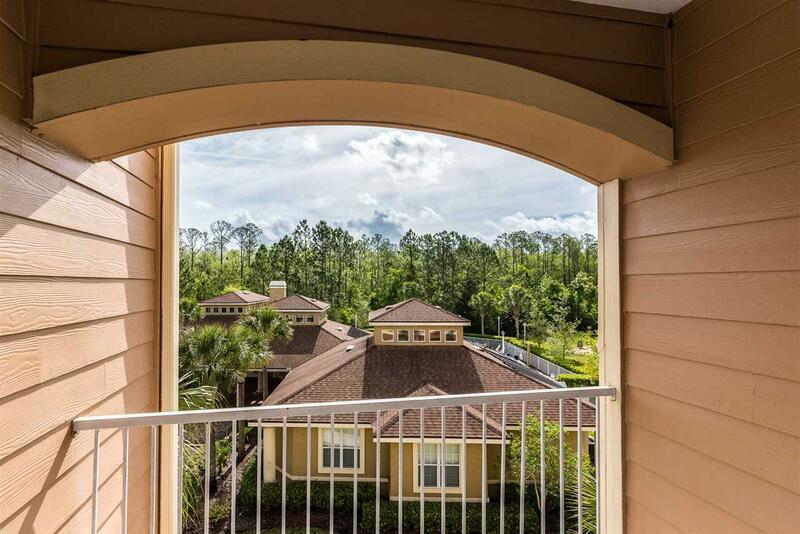 Old Town Villages is convenient to I-95, the World Golf Village, Outlet Mall Shopping, Downtown St. Augustine, and only minutes from our beautiful St. John's County white sandy beaches! Call today to schedule your private viewing, this unit is sure to sell quickly!